Liebster: German in origin, the word translates in English meaning sweetheart, darling, or beloved! 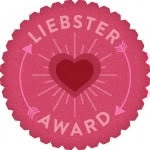 The Liebster Award is awarded to new bloggers that have less than 200 followers. Jessica from My Life, My Loves & Me nominated me! Thanks Jessica! In order to accept the award and display the badge on your blog, you have to follow these rules. Answer the 11 questions the blogger who nominated you asked. Create 11 questions of your own to pose to your nominees. Chose 11 bloggers to nominate that have less than 200 followers and notify them. There are no tag backs! 1. I am the 5th of 6 kids, one of 5 girls! 5. I do not have any tattoos, and that okay with me! 6. I want to live within walking distance of the beach someday. 7. I love a good rain, but am afraid of heavy winds and storms. 8. I am a hopeless romantic. 9. My favorite concert of all time was Queen. RIP Freddie Mercury! 11. I have an obsession with shoes and handbags. 1: what made you start blogging? I was drawn to the socializing and meeting great people, and having a place to share my own perspective and thoughts! I love all things fashions and what better way to share. 2: who is your favorite musician/band? Well Queen if you include all time, but alive I would have to say Peter Gabriel. 3: If you were stranded on a deserted island and could only have three things what would they be and why? Chap stick, because who wants dry lips. Sunglasses to protect my eyes from all the sun. A water bottle, so I could at least fill it up and have water with me no matter where I was on the island! 4: what is your favorite social media site? 5: what is your favorite makeup brand and why? Mary Kay has fabulous cleansers and skin care products and that is a key element to having a great completion. I also use Clinique. 6: name 5 of your most treasured possessions. A pink Wedgewood bowl. It was the last gift my sister gave me before she passed away. 7: what is your favorite thing to blog about? Oh gosh, handbags and shoes for sure, but I really love sharing a DIY post too. 8: if you could describe yourself in two words what would they be? 9: what's your favorite song right now? I don't have a favorite right now. 10: what's your favorite food? 11: what's your favorite tv show? I don’t really have a single favorite but I do like to watch the Real Housewives of OC, and BH. I like King of Queens, and Everybody loves Raymond. Ok so here are the question for the blogs I tagged! What are the 5 most popular songs on your iPod? What is the last movie you cried at? Do you prefer flats of heels? Are you a coffee or tea girl?